Ronald Begeer (ESI - TNO) and Maria de Álvaro Torán (Indra) are at the end and beginning of their ITEA Steering Group membership, the former having been ever-present since the early days and the latter having joined just recently. A perfect opportunity for a retrospective from an experienced campaigner and a first impression from a fresh face to ITEA. Ronald is no stranger to new challenges. In fact, he embraces them. But because of this, he has had to bid farewell to his ITEA Steering Group colleagues. 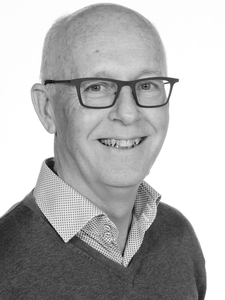 Ronald will be familiar to many as the face of Philips in the ITEA Steering Group, but recently his lust for new challenges has taken him out of the industry field and into the research domain of High Tech Systems at ESI (TNO). Given this, and the fact that ITEA is an industry-driven Cluster, it became time for him to step down. Being part of ITEA, there is certainly a feeling of being in a family: Work hard, play hard, and most of all, enjoy the company of the people around you. But now, as already mentioned, Ronald has had to withdraw from his role in the Steering Group, and in many ways that is down to one of the factors that made it so special to him: curiosity. “I have always been very inquisitive,” he says. “It stood me in good stead as a Steering Group member but it is also the underlying reason why I stepped down. My curiosity to discover new things led me to look for new challenges. And when I happened to get into a conversation with a former colleague of mine on a train travelling from Brussels, I became intrigued by the work he was doing at ESI, a department of TNO, the Netherlands Organisation for Applied Scientific Research. To cut a long story short, an opening appeared and I took full advantage of it. Since May this year I have been Senior Project Manager at ESI in Eindhoven supporting the Dutch High Tech Systems industry with methodologies for improved system development, and, given the nature of the beast, my job was not commensurate with my role as an ITEA Steering Group member. As ESI is also involved in ITEA as an RTO, I will continue being part of the ITEA family and be involved in future projects too. So while my inquisitive nature meant having to step outside the Steering Group as an active member, curiosity is a characteristic that every Steering Group member should have. And for all the newcomers to this role, I would say: enjoy discovery on all kinds of levels, from new innovative technology to travel, culture and, at the very top of the list, people!” It is this kind of knowledge and experience that Ronald and his more seasoned colleagues are passing on that is becoming a legacy for the process of renewal, and which is always a vital component of progress. 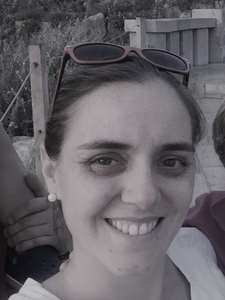 Taking that legacy further is Maria de Álvaro Torán, a very recent 'acquisition' as a reviewer in the Steering Group activities. Thanks to my older brothers!